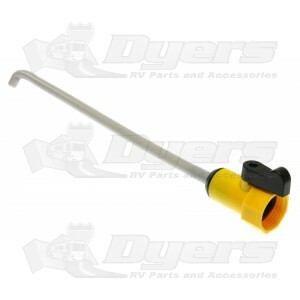 Clean out heat-robbing sediment and extend the life of your water heater with this handy tool. RV Water Heater Tank Rinser lifts sediment that collects at the bottom of your hot water heater and washes it out of your water heater tank. Cleans out heat robbing sediment. It is made of plastic & it leaked water like a water faucet.